Machine wash only, wash separately for the 1st wash and wash dark colours separately for all washes, steam iron only. These highly functional smart performance shorts combine convenience and performance like no other. 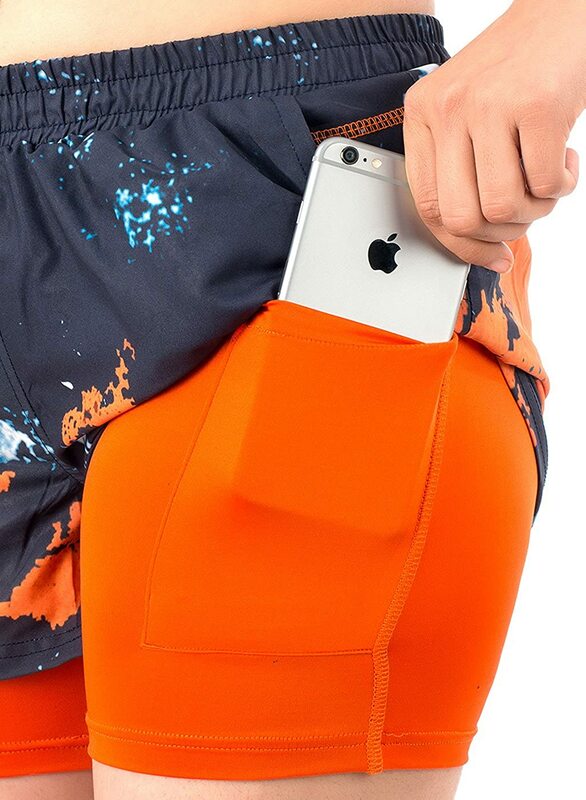 A special pocket in the inside layer is made to stash your smartphone and even listen to music while running. Anti-bacterial, anti-stink and four way stretch inner tights are your best running companions ever. Safety pocket at back keeps your keys and small valuables safe. Reflective details ensure safety and visibility. Fitted inner tights move with you and keep your thighs from rubbing and chaffing. Light outer shell ensures maximum comfort. These are the shorts you should have never run without.